A White House report has been released that analyzes the state of privacy in regards to big data in the United States and provides some suggestions as to how privacy can be protected. The primary recommendation is that new laws should be put in place that are more explicit than the few laws that are currently on the books. The report has been put together as a result of a 90-day review by White House official John Podesta. 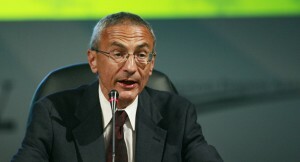 Podesta’s team looked at the web services industry instead of government agencies like the National Security Agency (NSA), which may collect far more data than tech giants like Google and Facebook. Even though the NSA’s data collection may be more concerning, that doesn’t mean that the web should be unregulated, allowing companies to collect whatever they want. Strict regulation will directly affect the business models of ad-based companies like Google, which would be far less successful without massive amounts of user data. One of the suggestions included in the report is that the legislation should apply to the way that American companies treat foreign data as well, so Google cannot collect data differently if a user is Canadian rather than if they are American. On top of that, Podesta’s report says that companies should be required to report data breaches as soon as they are discovered. This measure has been brought up many times in the past, with proponents stating that it will help to minimize the negative effects of breaches, especially if they involve credit cards. While there are numerous recommendations in the report–only some of them are likely to be listened to seriously–an updated set of email laws is one of the things that everyone should be able to get on-board with. The report says that the Electronic Communications and Privacy Act (ECPA) from 1986 should be updated. Since that piece of legislation still allows law enforcement agencies to examine the content of an email without a warrant if it is unopened or older than six months, email simply has not been given the same protection as regular mail and the terms should therefore be changed. Summary: The White House has released a set of recommendations regarding the way companies treat user data. The report says that using data to discriminate, in any way, against users should not be allowed.